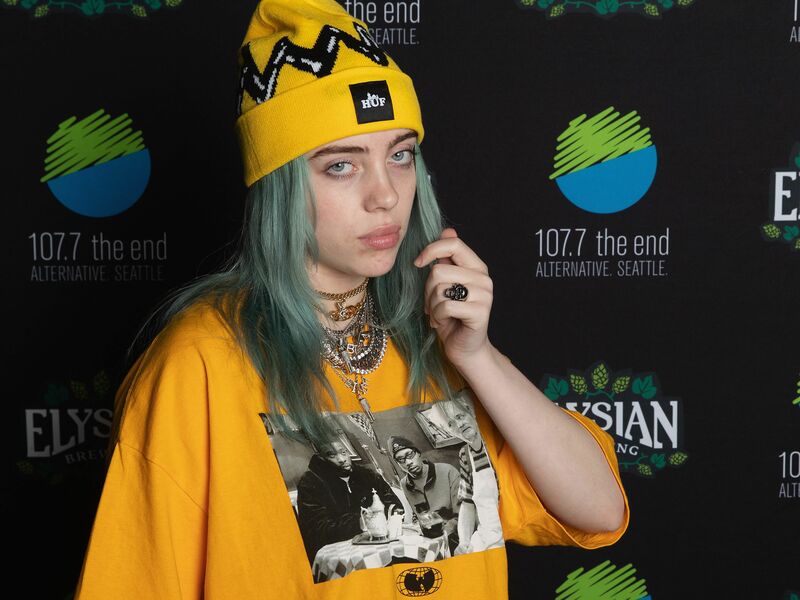 Billie Eilish, 17-year-old downbeat sad-pop wunderkind, is primed to be one of 2019’s biggest breakout stars. Alfonso Cuarón, 57-year-old Oscar-winning director of Gravity, Children of Men, and the highly celebrated new Netflix film Roma, is already having a great year, having won two Golden Globes on Sunday night. What do these two seemingly disparate culture creators have in common? Allow Eilish’s new song, “When I Was Older” (released on Tuesday) to answer that question. The gloomy, blippy track somehow recalls both Lil Uzi Vert’s “XO TOUR Llif3” and Radiohead’s “Pyramid Song,” and it’s billed as “from music inspired by the movie Roma,” though it did not appear on that film’s soundtrack. It doesn’t have much to do with the plot either, from what I can tell. But Eilish, bathing her voice in a digital tone, does sing about “watching movies back to back in black and white,” seemingly as she mentally exorcises someone from her system. I pictured someone distraught, immobile in a dark room, letting the crisp bright whites of Roma‘s beach and city scenes shine as the algorithm takes control. The opening and closing lines, too, are taken directly from the film. Roma will likely continue its awards-season buzz next month at the Oscars. Eilish, meanwhile, was just announced as a 2019 Coachella performer. In the meantime, you can stream “When I Was Older” above (and watch Roma on Netflix).